We are a leading Manufacturer of barrier gates, flap gate, automatic swing barrier gate and gate operator from Noida, India. 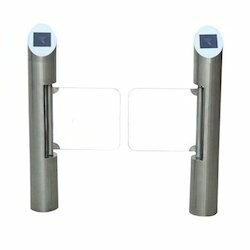 We are offering a wide range of Barrier Gates. •Modern, energy-saving barrier, cost effective and innovative. It also incorporates close-protection safety features required for mixed traffic. The simplicity of the design fits perfectly into any location with extensive functions,. Innovative motor technology with the best possible energy efficiency. •Long-life performance, high operation dependability and fast response. •24 V DC motorized movement. •Excellent design, attention paid to the construction, quality and durability. •Alarm function, in the case of illegal intrusion and reverse intrusion. •Infrared sensor to prevent pinch pedestrians. •Anti-breakthrough function. The gate is locked automatically until the opening signal received. •Anti-trailing function, the Flap Barrier will lock if someone wants to burst in without swiping the RFID card. •Audible sound prompt and information display function. •Anti-illegal in, anti-intrusion, auto close for the reverse direction. •Alarm function, in case of illegal intrusion and reverse intrusion. •Anti-breakthrough function. The gate is locked automatically until opening signal received. Swing gate actuator: housys series of swing gate operators with a compact design and high performance are designed and manufactured in houston facility under the supervision skilled professionals.high-quality production ensures smooth and reliable products for intensive use.we produce wide of gate actuator to meet customisable and challenging need of customers. 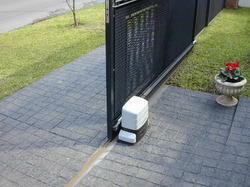 swing gate motors are self-locking motor enclosed by die case aluminum compact casing. lubricated internal components(hydraulic version) or fluid greased internal components(electromechanical version) and thermal protection ensure long working life, high performance, and smooth operations.limit switch for accurate and safe movement. control unit with variable features and extensible function to provide a better experience in desired application. fly, swingo, olep, wingo and viper services of swing gate actuators are available with unique features for a wide range of residential, commercial and industrial application to meet customer satisfaction.performance: automatic swing gate operator characterized by high efficiency and complete performance.they are impeccable in their movement, elegant design with a smooth finish. intelligent: various configurable options to meet customer requirements and ensure smooth gate movement with self-learning mode, adjustable opening and closing options etc. Innovative: hydraulic technology with thermal protector, adjustable limits, and intelligent controls is the result of in-house innovation. Safe: built-in encoder ensures safe gate movement reverse on obstacle detection.optional safety accessories safe edge, photocell, and loop sensor provide additional safety. 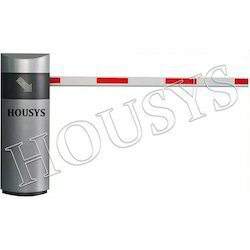 Compatibility: housys series of motorized gates are compatible to integrate with ant access control device, boom gates.the solar system, gsm module, fir systems etc. Reliable: in-house design and production to achieve quality products with high performance make it more reliable.own production enhances product quality more reliable to achieve customer satisfaction.